It might not feel like it for most, but the festive season is upon us. Ecommerce sites are gearing up to tempt us all into spending with them as we start to consider gifts for the holidays. 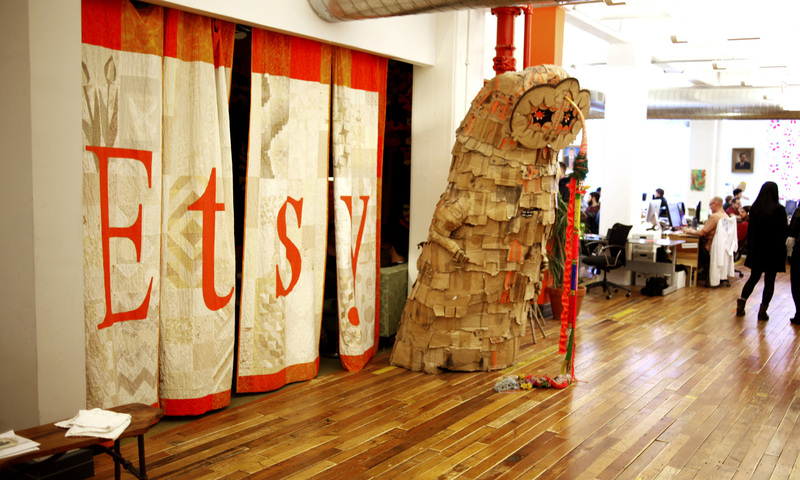 Etsy, the global craft market is also on the case. With a new manager in charge of raising the site’s profile, it could become a winner for UK shoppers looking for something that is not the usual high street offering. Etsy’s recently appointed Country Manager Nicole Vanderbilt has been in the UK meeting sellers and working out ways in which the UK audience can engage with the online craft market. Though there is plenty of work to do, Vanderbilt says that the site has already seen 2 million monthly uniques in the UK and it is expected to reach its 3 millionth order over the holiday season. Vanderbilt took on the role with Etsy back in August. Her previous experience in marketing for companies like Bebo, Google, American Express and MyDeco are no doubt going to help Etsy expand and improve its visibility in the UK. Vanderbilt says that by some estimations, the UK has a 5 billion dollar craft market, a big opportunity for Etsy to tap into. But as arts and crafts are often seen as a traditional offline activity, the method for getting those sellers online could be a tough sell. Etsy’s Teams are where sellers can find both structure and support to make sales. There are Teams for selling specific products like photographs or textiles and these groups help people with similar crafts get to know the site and work out best practice. Etsy staff also provide the means for more specific ways to help sellers. Last year there was a big push around weddings where sellers could be promoted through the topic and raise awareness of their goods. “We’ll continue to package up bits of this very broad market place to help focus buyers,” says Vanderbilt. Etsy has influenced many other sites from other online markets to the skewering of strange items on offer through the site Regretsy. Though many other online markets hand-pick or filter the goods they provide a platform for, Etsy is proud of the democratic way in which people can sell their crafts. The only filter on the site is one to make sure that things are actually hand made. Physical Etsy markets in the US have also been popular. Crafters can get together to sell their goods in a more traditional way and this is something that will continue in the UK. Rather than waiting for tourists to pass by a tiny craft shop in a village for a sale or having to close down outside of the summer holidays when fewer people will travel to buy a knick-knack, Etsy could be a way for the UK craft scene to see a real boost. With some great artists and creators languishing in tiny towns, it would be great to see the UK’s craft goods become available online. It might even be a way to find just the Christmas gift for that friend who has everything. Read next: Let’s ask the experts: What is NSFW?